The semi-sweet nuttiness is in no way overwhelming, nor does it leave a heavy aftertaste. 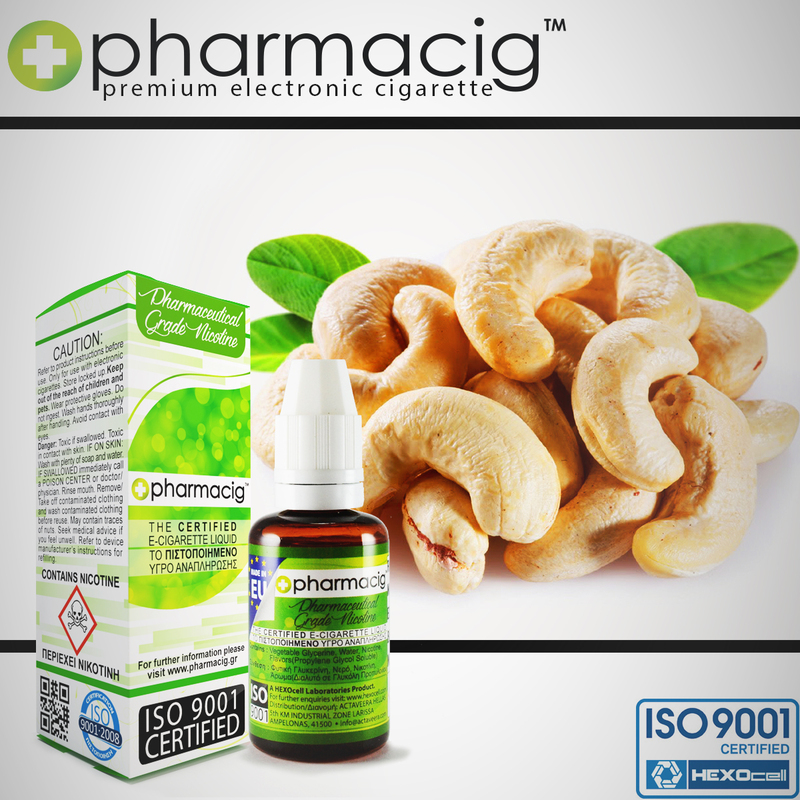 Cashew Nut is a silky smooth vape, too; it rolls over the taste buds like you wouldn't believe! And when it hits your throat, you realize how good it really is. It literally feels like someone is massaging your throat as it goes down. When it hits the lungs, it expands brilliantly. The exhale is also remarkable, both through the nose and the mouth. The vapor is exhaled with a superbly sophisticated flavor that completes a flawless inhale/exhale cycle. When it comes to exotic nutty liquids, there is simply none better!